Read what our patients have to say about the wonderful vision care and customer service they receive at Downey Eyecare Center. Downey eye care center is great! …The doctors here are super nice and will make you feel comfortable. They have a nice selection of frames here. You don’t need to wait long to be seen by the Dr. with an appointment. They have a lot of very nice frames here. They took my insurance so my glasses were reasonable compared to the other places I priced. I’m always getting compliments. The doctors and staff were very friendly. The office was very clean. YOU GUYS ARE THE BEST IN TOWN!!!!!!! Very friendly and helpful. Staff is amazing. Mr. Wong went out of his way to pair up my eyes with contact lenses that worked. My experience was tremendous. The office staff were friendly and inviting. Dr. Stein was engaging and thorough in his examination. I honestly felt that he took the time to really make sure I was comfortable and explained the process and his diagnosis. The staff is very friendly, the doctors take time and work with you and overall the service is good. Dr. Wong is wonderful! He really takes his time in explaining everything to you. It shows he really cares about the health of your vision. Your experience with our caring eye doctors and optical staff is helpful for other patients to learn about how we’re special. 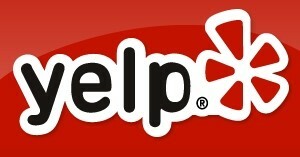 Share your reviews at any of these profiles and tell your friends and family! We appreciate your referrals.